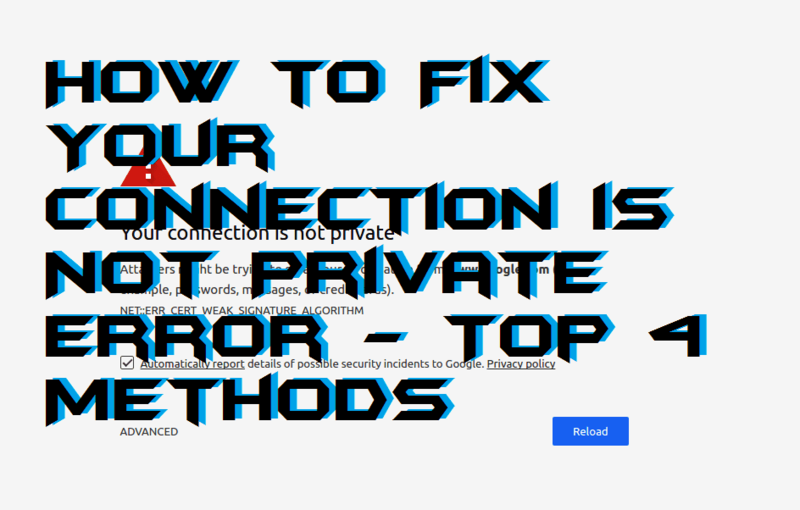 Hello friends, Today I will share four methods on how to Fix your connection is not private error. Users can fix this error on their Windows PC/Laptop. You can bypass this error and open any website on your Google Chrome. You can visit any site without error connection is not private. Users can open a website on any device Android, iPhone or Windows. You will be able to fix NET:: ERR_CERT_WEAK_SIGNATURE_ALGORITHM. Google Chrome is the world most popular web browser. Today, almost every single person is using Google Chrome in their PC/laptop as well as smartphones. It might be possible that when you have tried to open a website on the Google Chrome web browser. Then, you have got a message “your connection is not private error.” Well, let me tell you that this error has occurred when you will try to open any HTTPS based website. If you decide to open a secured site, then this will happen for you. But, hold on, not every website shows this error on Google Chrome. Yes, you are right. Let me tell you further things in the next part. The very first method to solve the issue that is the message saying your connection is not private error. 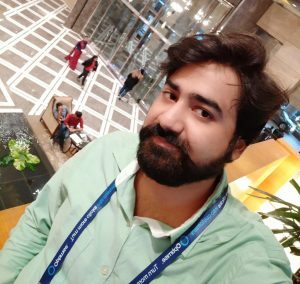 Open a website using Advanced link. This option is available at the bottom of the page when you will get this error on the browser. What you have to do is that, click on the Advanced link and then click Proceed to <your_website_name> (unsafe). It will immediately open the link to the next tab on the browser. I should say it is not a kind of solution, but yes it is a kind to bypass method to solve this error. You have to add a command at the end of the Target field under the Properties of the Google Chrome web browser. Let me tell you what exactly you have to do. Just follow the navigation page: Right click on Google Chrome desktop icon > Properties > Shortcut > add “-ignore-certificate-errors” (without quotes). That’s it. This will solve your issue immediately. If above explained both the method do not work for you then obviously you can look for clearing the cache and the browsing history/data of your web browser. Under Privacy and security section, click on Clear Browsing History. At the next page, click on the Clear Data button. Make sure that you have checked the field of Cache and Cookie options also. You can reset your Google Chrome web browser so that the default settings will take place and all the issues will be solved. I have explained step by step guide so that you can reset the Google Chrome web browser. Click on Three Dots then click on Settings. Then, go to the bottom of the page. Then, click on the Reset Settings button. Wait for a few seconds and restart the browser. Basically, what does the NET::ERR_CERT_AUTHORITY_INVALID error means is that your connection is not private. It is a kind of a system error which is encountered by many peoples. What you have to fix this error is that go to the Settings of your Antivirus and turn off the firewall. But, if somehow you don’t use any kind of antivirus then connect to the internet properly may be this is causing the error. The ERR_SSL_PROTOCOL_ERROR error is also known as the “site can’t provide a secure connection error” as well. Basically, this is not your web browsers problem. It is generally the problem of the website owner. Why? Because it is clearly mentioned that it is an SSL error which should be fixed by the administrator of the website. But, to give it a try you can do two things. Either use HTTP instead of HTTPS, and you can check back the site after a few minutes or a few hours. This was all about the standard error which is “your connection is not a private error.” There are more ways to solve this issue. But, the methods which I have shared with you guys are genuine and tested by me. Also, I have a bonus method for you that you can try to update your Google Chrome web browser. Sometimes it helps. I hope using this article you had fix this error. You can share this article with other peoples so that they can also fix this error like you and me.